The Greek mythology, rich in characters, plot and emotion, resembles a film script where gods, heroes, mythical monsters, creatures of fantasy and passionate people are the protagonists. 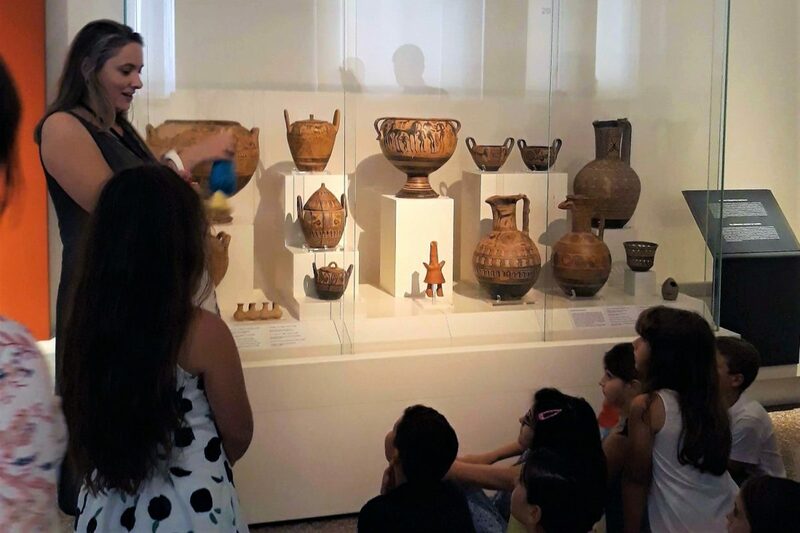 The Collection of Sculptures of the National Archaeological Museum is the best starting point for children to understand how the myths connect with history and art. The Collections of the National Archaeological Museum offer the visitor a Panorama of the Ancient Greek Civilization from Prehistory to Late Antiquity. Gods, mortals and heroes help children and adults to understand the evolution of ancient Greek sculpture from the 7th century. B.C. until the 5th century AD. The Prehistoric Collection is unveiled upon us through its most significant exhibits from mainland Greece, the Aegean islands and Troy. 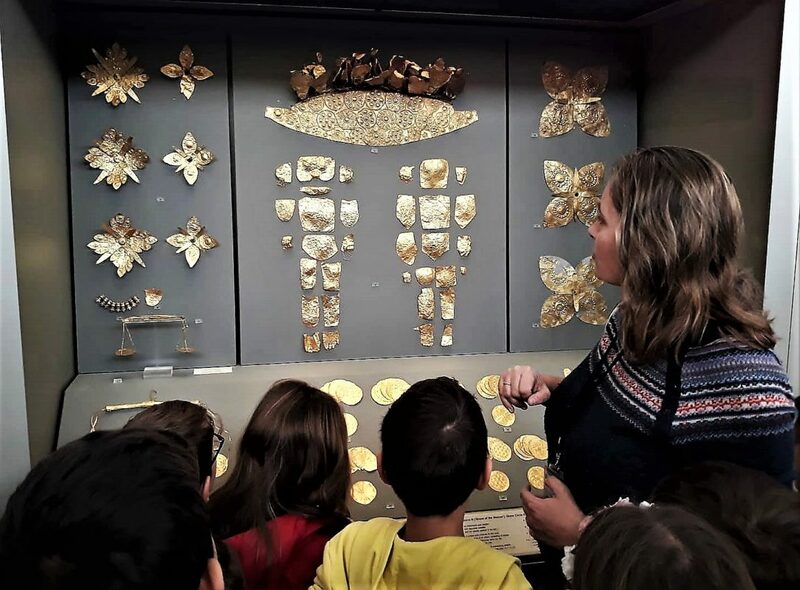 Artifacts like the Cycladic marble figurines, the golden treasures of the royal tombs and the excellently preserved wall paintings of Thera guide us through the life in Prehistoric Helladic region and the story of Agamemnon and Helen. The Vase Collection will present to us the uninterrupted evolution of the Greek pottery and painting from the 11th to the 4th century BC.